Get this Playmat at a Prerelease Near You! 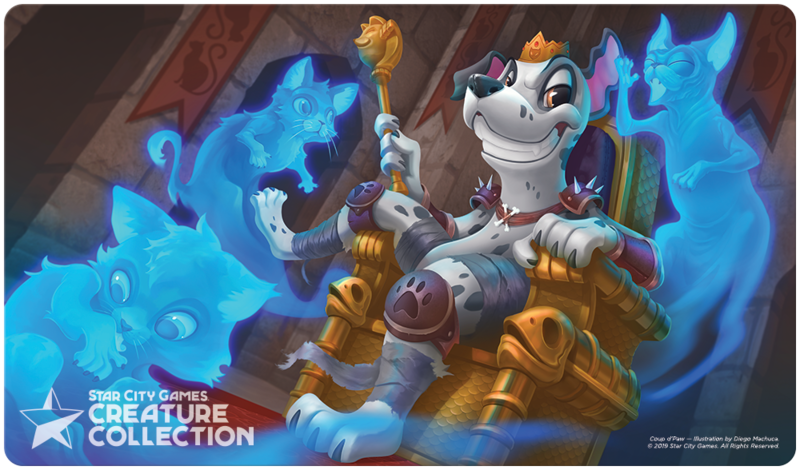 Take a look at the exclusive Coup D'Paw Creature Collection playmat we've created for Prerelease on April 27-28! These Prerelease Exclusive Creature Collection playmats may be offered as participation items, early registration incentives, door prizes, prizes based on finish or in whichever way the organizer wishes to use them to enhance their own Prerelease experiences!